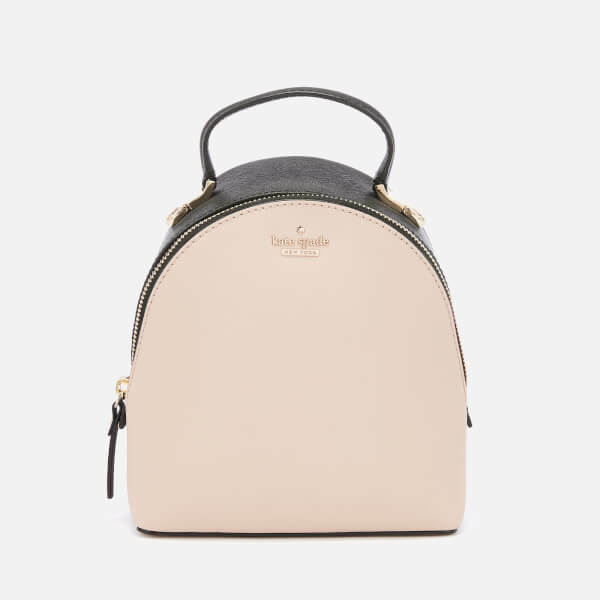 ‘Cameron Street Binx’ backpack from Kate Spade. 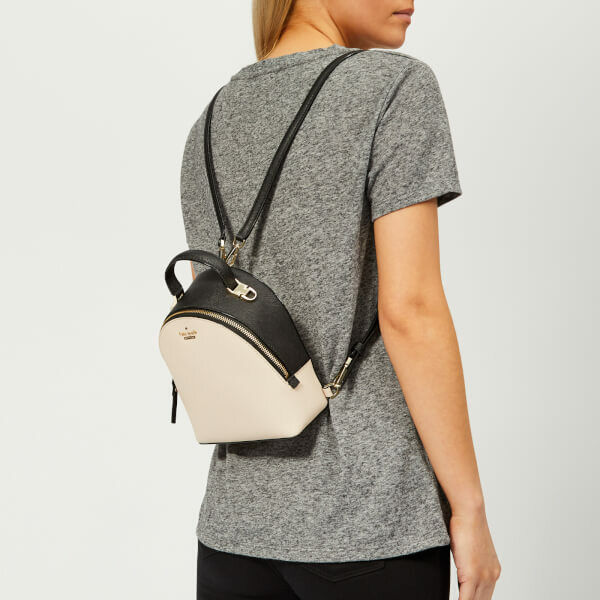 Crafted in crosshatched leather, the mini rucksack comprises a colour block design and features a top handle and twin removable shoulder straps for versatile styling. 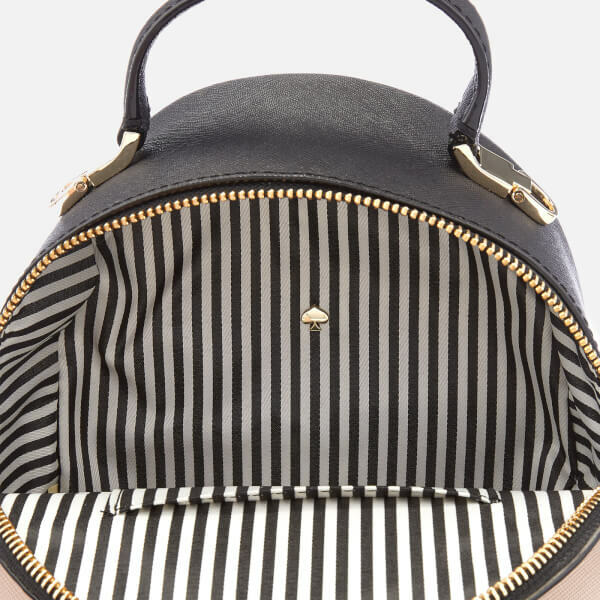 Fastening with a top zipper, the bag opens to reveal a compact, lined interior with a slip pocket. 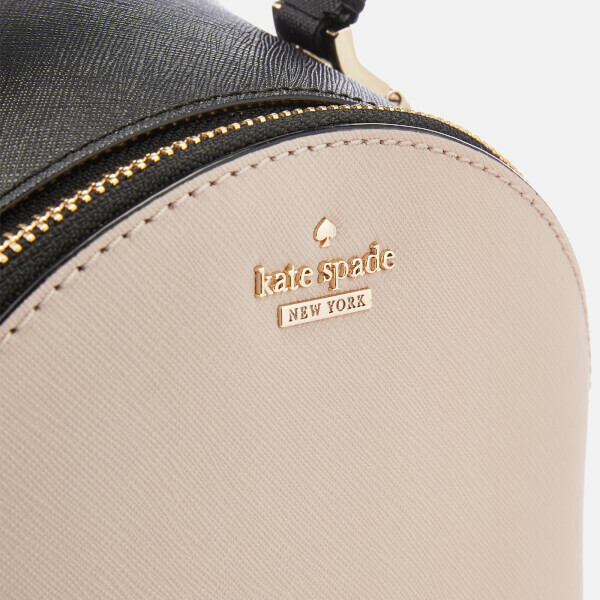 Gold-tone metal branding completes the branding. Dimensions: H: 19.5cm x W: 17cm x D: 8cm. 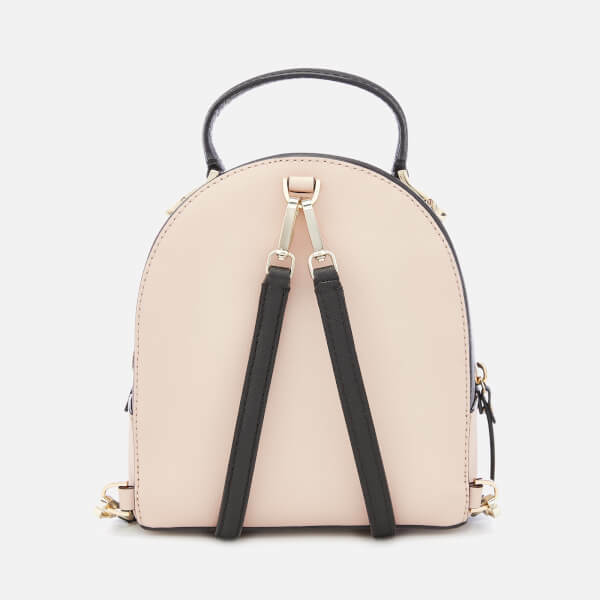 Handle Drop: 5cm.